The Devonian Silica Shale exposed in the Lafarge quarry in Paulding, Ohio has attracted collectors for decades. 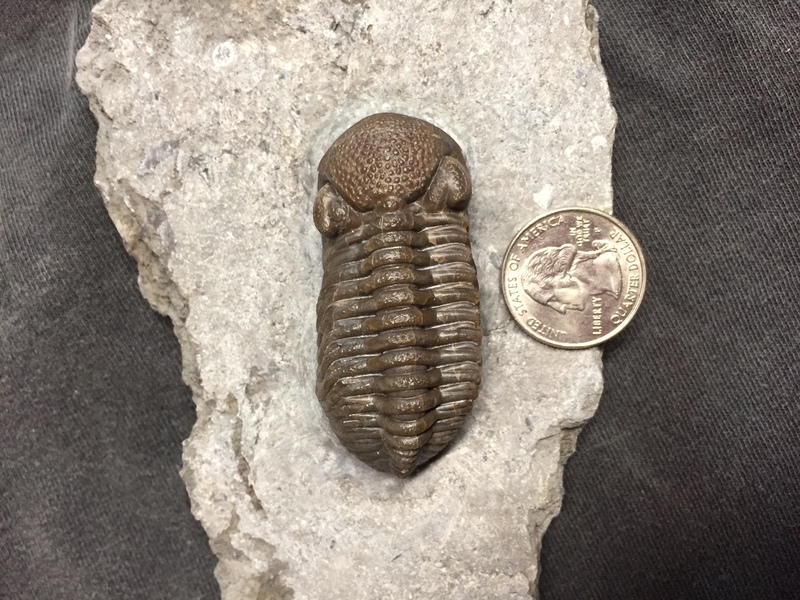 The shale is well known for its trilobites [in particular Phacops (Eldregeops)], plus brachipods, horn corals, small blastoids, crinoids, and fish material. 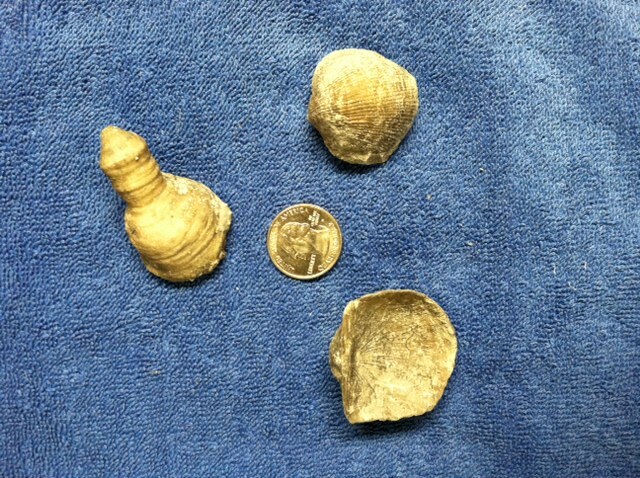 A few of the brachiopods and corals found in the Silica Shale at Paulding, Ohio. 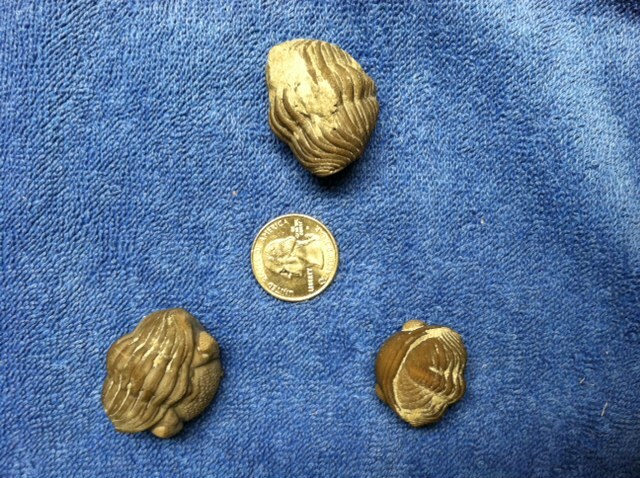 Enrolled Phacops trilobites from the Silica Shale at Paulding, Ohio. While clubs had a long history of obtaining permission to enter and collect, changes in Lafarge policy threatened to close the quarry to collectors permanently. 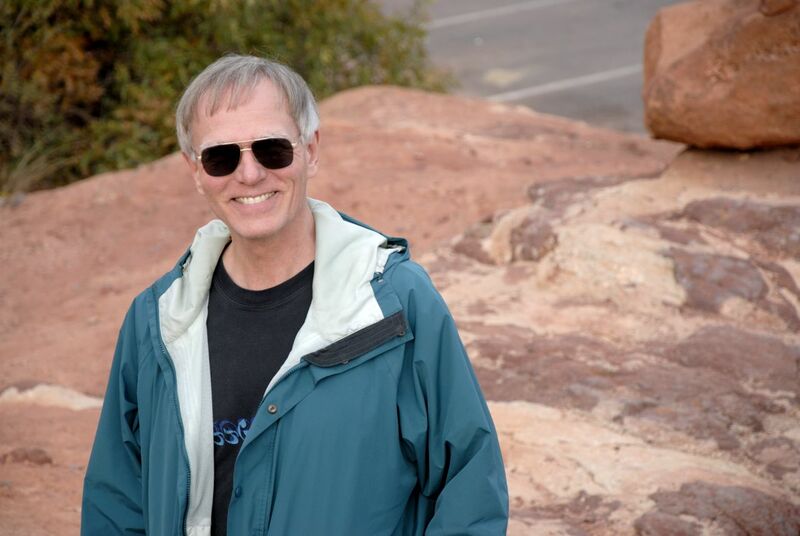 In an effort to prevent that, about 18 months ago, many professional and amateur paleontologists wrote letters urging the quarry to remain open to collecting. I wrote a letter on behalf of the Dry Dredgers to express support for continued collecting opportunities at Lafarge. Due to the overwhelming number of letters, Lafarge decided to construct a fossil park open to the public. The park is located on the quarry property, but far removed from the mining operations. It is a flat fenced area where Lafarge periodically dumps Silica Shale. It is open 7 days a week to collectors, who simply have to sign in and follow the rules. 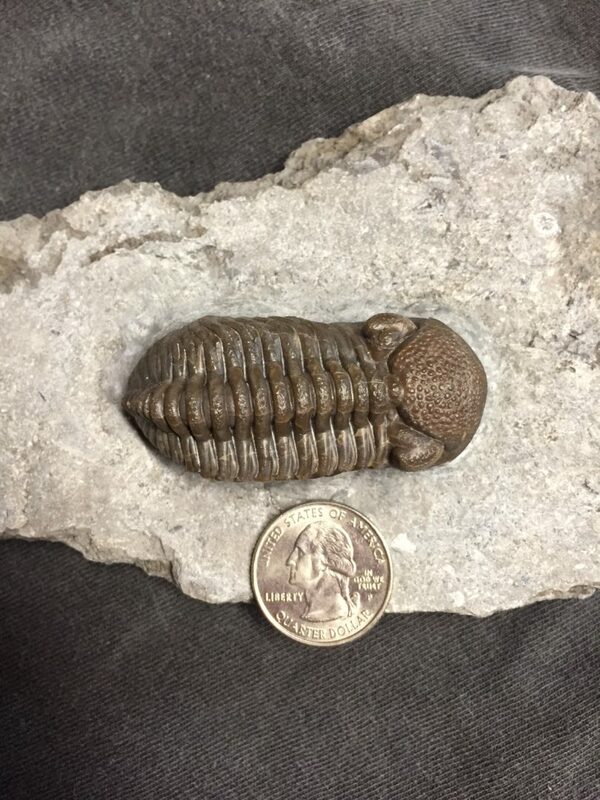 I visited the park twice last year and found a total of 3 trilobites: 2 rollers and one prone bug that was exposed ventrally in a large chunk of rock. 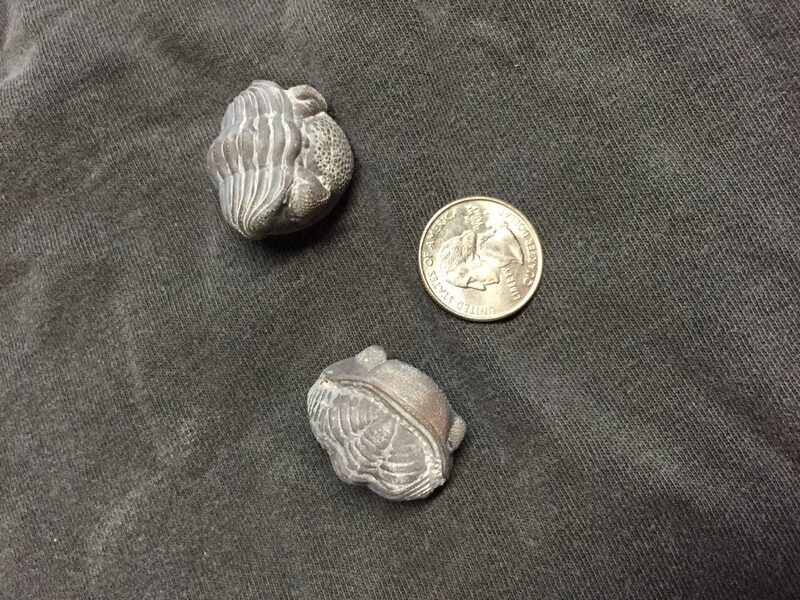 Two enrolled Phacops found in the Paulding Fossil Park in 2016. So, if you are in Northwest Ohio, stop in and check out the fossil park. Good hunting!